The business of foreign trade requires a thorough working knowledge of the latest rules and provisions in force from time to time. JS International will be your liaising partner in the field of licensing and policy procedures and handhold you through the complete licensing formalities w.r.t the Director General Foreign Trade. - DFRC Duty-Free Replenishment Certificate. 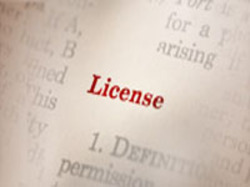 Owing to our domain expertise, we are capable of facilitating clients in receiving Duty Free Advance License. This Exemption Scheme enables merchant exporters in importing quality inputs used for export production. This license or Duty Remission Scheme also helps in post export replenishment/ remission of duty on inputs used in the export product.